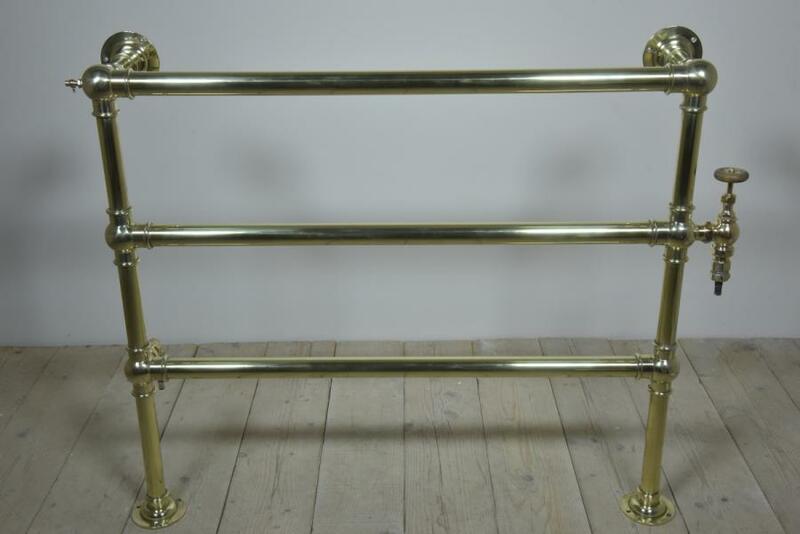 An antique brass heated towel rail. Large and heavy ,approx early 20th century. This has been fully polished and pressure tested. 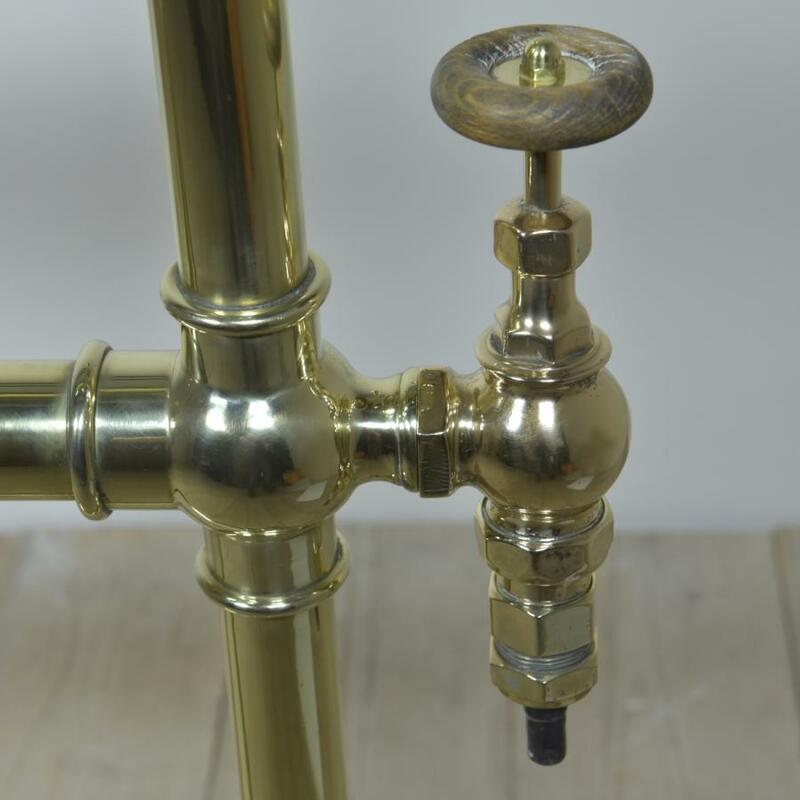 The valve with its original wooden wheel works smoothly and all parts are present. 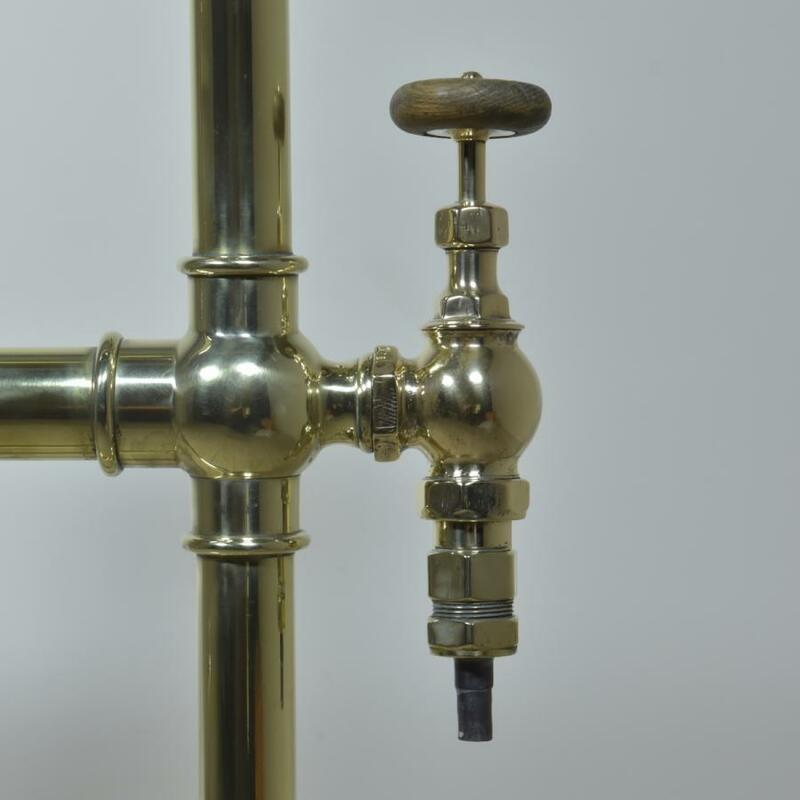 It could be kept highly polished with minimal effort or left to dulland gain patina. 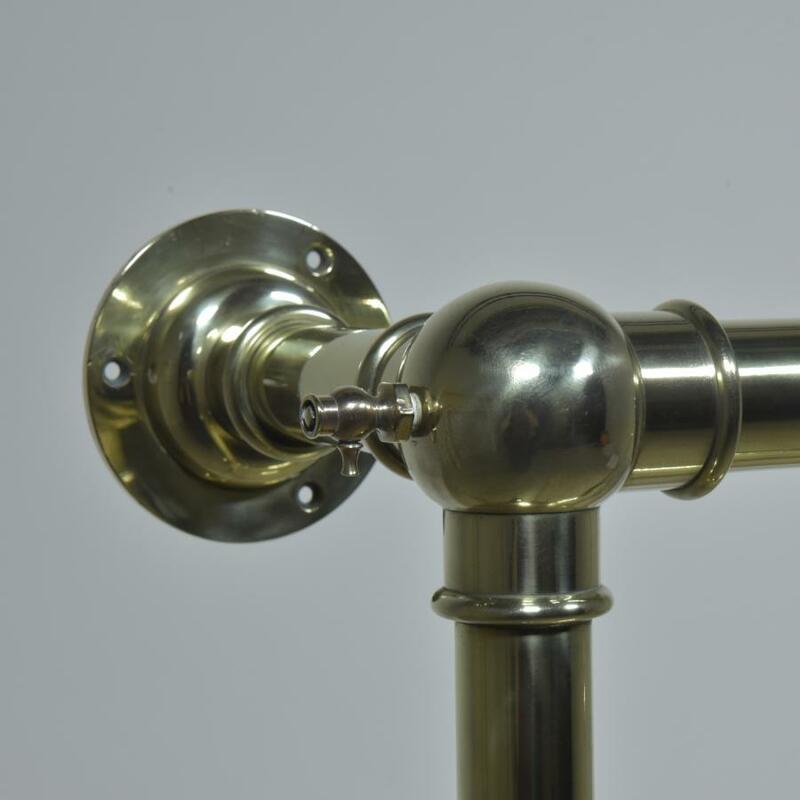 Dimensions in inches / cms; 44 / 112 tall 55 / 140 maximum width including valve (51.5 / 131 width to outer edge of floor plates) Tube is approx 2inch diameter, lugs approx 3 inch. Max projection from the wall is 10 / 25. Please note the scale - it may look better with some space around it. For more / higher res images please see my blog which can be accessed through the news section of this (haes) website.